Wash Inside Out On Gentle Cycle. Line Dry or Low Heat In Dryer. 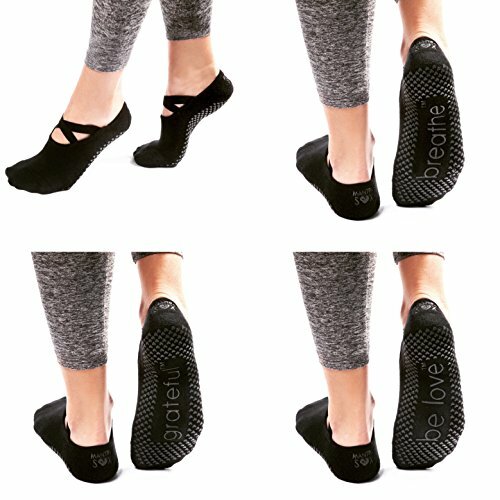 Do Not Iron.✪ NON-SLIP TRACTION SOLES: Don’t slide around during your workouts. Now your feet can grip wood floors so you can focus on your workouts like a pro. 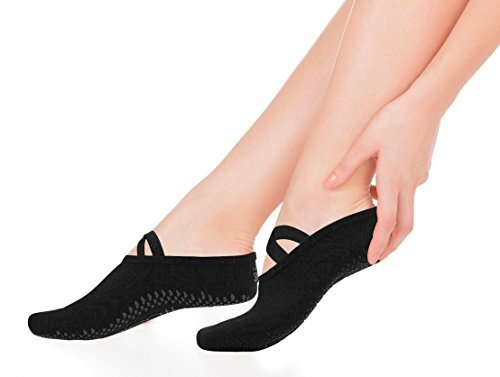 ✪ SUPER COMFORT & HYGIENIC: Loved by top Yoga, Pilates and Barre practitioners. Our proprietary-blend of organic cotton, spandex and natural anti-bacterial material give you the comfort needed when practicing Yoga, Pilates, Barre. 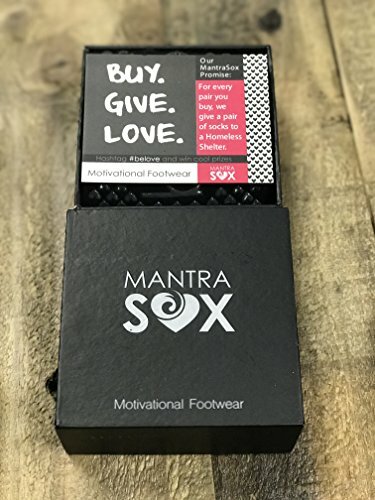 ✪ DESIGNED WITH YOU IN MIND: Each time you slip on a pair of MantraSox, you will be reminded and motivated with the specially designed word on the bottom of each sock. ✪ BE THE CHANGE: You will look good and feel awesome knowing that you shopped with a purpose! With every pair of MantraSox sold, we give a pair of socks to a homeless shelter through our non-profit partnership. 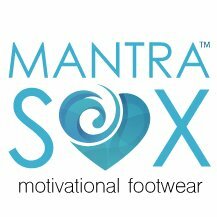 ✪ 100% MONEY-BACK GUARANTEE: MantraSox is about quality, performance, style, and giving back. If for any reason you’re not satisfied, contact us and we will supply a 100% full refund, No Questions Asked!